Nice To Meet You is an online creative community for anyone creative to come together and interact and meet new people in the industry, NTMY was founded by Andreas Pihlström, David Cambou and Ravi Vasavan. 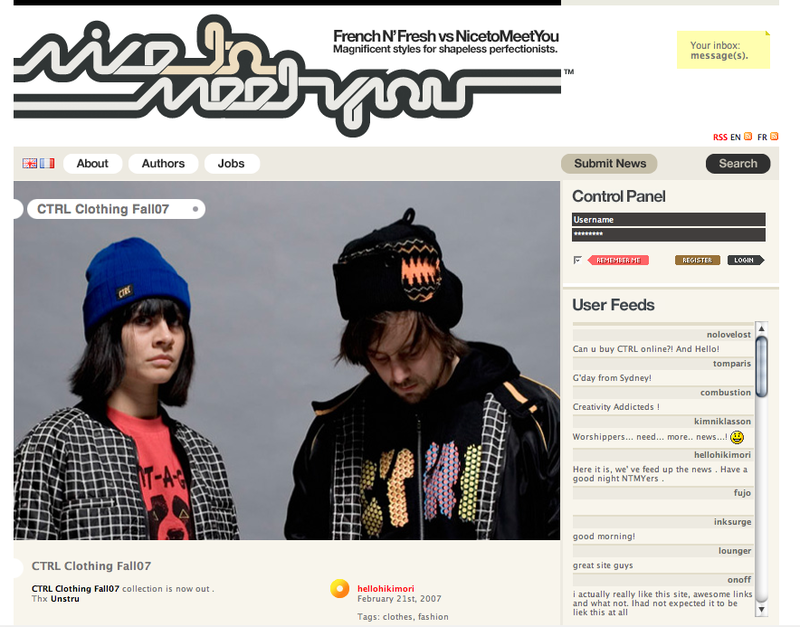 In early stages, originally there was NTMY and French’N’Fresh but not so long after the launch of NTMY’s first version, we merge into a single site in which we all agreed, which ultimately resulted the bigger and better current NTMY. The community revolves around a group of dedicated News Authors who writes and send these juicy and sweet news right to the front page, and thousands of creative users and visitors who contributes to us on a daily basis by interacting with other users and submit news, suggestions which provides us endless ways to constantly improve the interactivity, functionalities and in overall for the community.